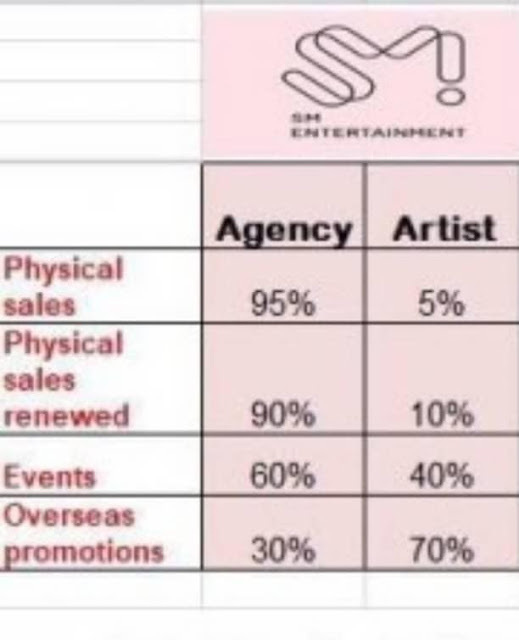 Everything related to the entertainment industry has always been an interesting conversation among fans. 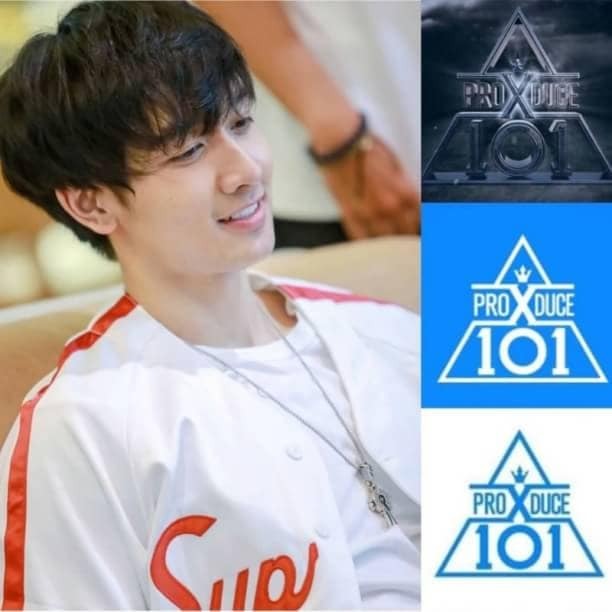 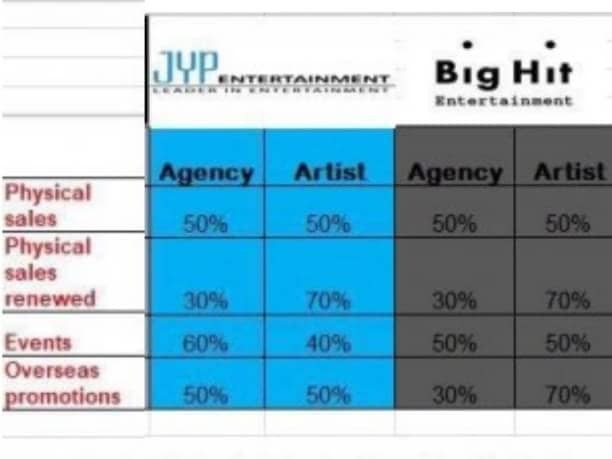 In a post in Pann, netizens revealed a list of Kpop agency's profit sharing with its artists. 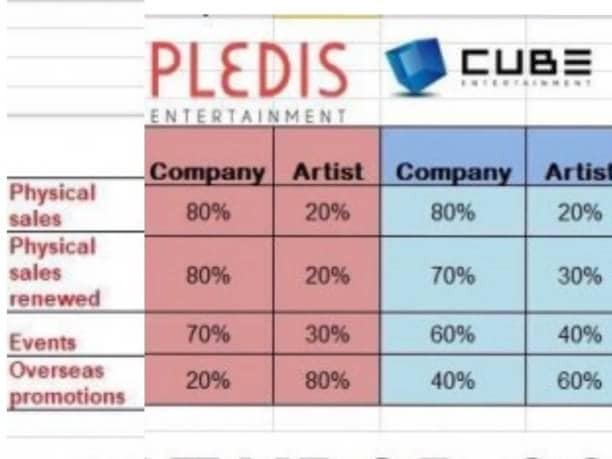 This list includes large agencies such as SM, YG, JYP, Big Hit, Pledis, Cube, FNC and Starship. 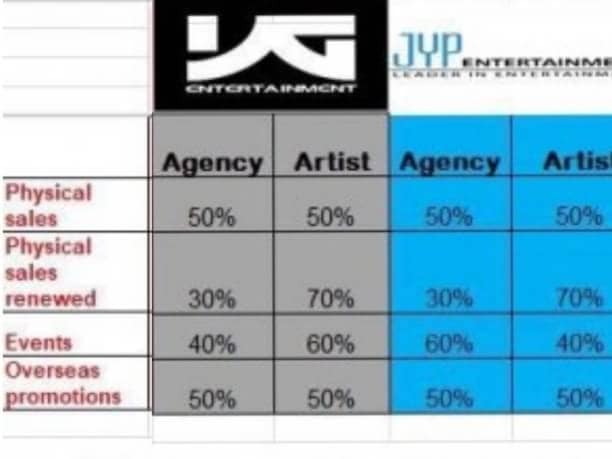 Some netizens who saw this said they were surprised because there were agencies that gave little to their artists and vice versa. 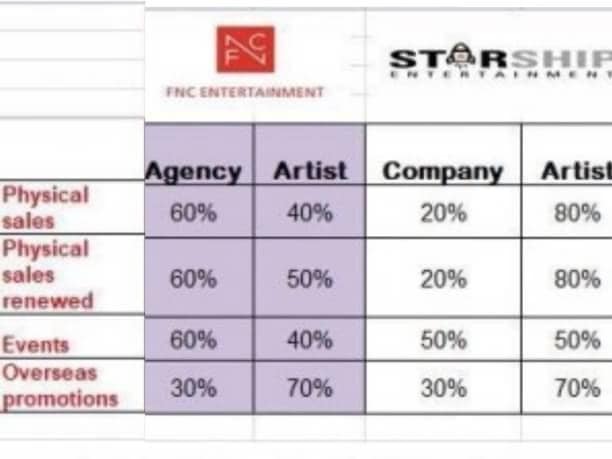 "SM is carrying out a highway robbery"
"On average, Starship pays their artists 70%, Bighit 60%, YG 57.5% JYP 52.5% FNC 50%, Pledis 37.5%, Cube 37.5% SM 31.2%"
"YG and Pledis get so much money to work like that"
"What's wrong with BC ..."
"This is not without reason, at least 10 people have left SM, and even SM artists themselves diss SM"
"Tell me YG, JYP, and Big Hit profit distribution that looks the most normal to me"